Target Chip Ganassi Racing Managing Director Mike Hull is the latest luminary to lend his time and expertise to SAFEisFAST.com. A former racer and accomplished mechanic, Hull has been with the team since 1992 enjoying incredible success including 89 race wins, four Indianapolis 500 victories, nine INDYCAR championships and six Rolex GRAND-AM titles. His answers will be posted daily over three weeks beginning April 9. 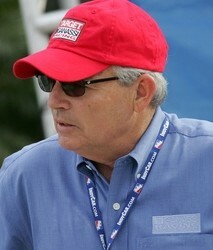 Target Chip Ganassi Racing Managing Director Mike Hull has “been there and done that” in the world of auto racing. Hailing originally from Los Angeles, he became involved with the sport in his youth and displayed plenty of ability behind the wheel in the early days of Formula Ford before realizing his calling lay elsewhere. An accomplished mechanic, Hull began plying his trade in a variety of junior open-wheel categories, including Formula Super Vee and Indy Lights, before moving up to the Indy cars and eventually joining Ganassi in 1992. 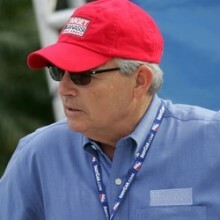 He was promoted to the role of team manager in 1996, at which point the organization could boast a mere two race wins. Over the course of the next four years, Hull presided over 30 race wins as Ganassi became the first team ever to win four consecutive championship titles – one apiece with Jimmy Vasser and Juan Pablo Montoya sandwiching a pair for Alex Zanardi. The team has since added five more INDYCAR titles under Hull’s stewardship, two with Scott Dixon (2003 and 2008) and three straight with Dario Franchitti between 2009 and 2011. Its tally of 89 race wins, including four Indianapolis 500 victories, ranks second only to Penske Racing. Hull also has overseen an astonishingly successful foray into sports cars, claiming six Rolex GRAND-AM titles in just nine years. Mike Hull answers your questions! When you started out in the sport – either as a driver or working your way up as a mechanic and team manager – did you look up to anyone in particular? Did you have any heroes? What did you learn from them? In terms of race heroes while growing up, I had two: Jim Clark and Dan Gurney. For me, I believe as I have gone through my race life that each step happened at the right time. I have been very lucky. Advice is simple – get the most out of today as you don’t know what’s next. Keep learning. My heroes today are all of the people in our building, as it’s still about each of them that makes the largest impact on where the team goes next. When young, I was lucky to work with David Bruns when we were both trying to race – his attention to detail combined with independent thinking is unmatched; I learned on the job with a start in INDYCAR racing for Frank Arciero – his passion had or has no measure; I was fortunate at the right time to work for Jim McGee – he never accepted anything at face-value and really pushed the team concept; and, when I first started for Chip (Ganassi), Tom Anderson was the GM – our backgrounds were very similar, but our process to get it done was a polar opposite. It made me a better person, and he really helped my personal development process. Finally, working for Chip has been special as he pushes to get the most from today through priority, and wants the learning process to include immediate mistake corrections to make it better. Also, he really understands the difference-maker in a race driver as a talent scout. His passion doesn’t have equal – that’s the kind of owner that makes the difference. When I watch racing on TV I hear a lot of references to “team chemistry.” What does that mean and how do you go about building that chemistry? Team chemistry is a group of people who are unselfishly dedicated to learning from each other without ego. That’s the first day – from there, you remain loyal to each other without compromise. As the group develops, each new team member is mentored to full speed so that supervision throughout is minimal as productivity reaches maximum effort. How important is it for a driver to have an engineering or mechanical background? Jim Hall has said that is was a real advantage for him, but times have changed with tools like data acquisition. I’d be interested in your take. Great question. Either a degree or your hands on the product will make a difference. The more that you know about how it’s assembled, plus how the aero and mechanical advantage is created becomes a real advantage from the start. How do you reach your decisions about when to make pit stops during an INDYCAR race? And is there any particular race that stands out in your memory where the strategic decisions went particularly well – or badly? Has Target Chip Ganassi Racing ever considered having a junior development program to help boost the careers of young talented drivers? If not, why? Neil, we have had a junior development team for one season of Indy Lights and worked with Keith Kunz with two different young drivers in his USAC program. Currently, and for the past year, our team has worked with Kyle Larson as a CGR development driver. What is your take on driver coaches? More and more drivers seem to be using them these days. Would you ever employ a driver coach to work with your drivers? We have done so without public reference to it. Your teammates can help, but a real set of experienced eyes push the thought process. Good question! After winning many INDYCAR races and championships, in your opinion what are some of the key components needed from a driver to be a championship contender in a series as competitive as INDYCAR? Thank you for your time. Hello Jake: With the ability to get it done being the common denominator, it’s the driver who arrives at work everyday with an unselfish open-mind. An understanding of the integrity of the team concept is key. A driver who consistently succeeds isn’t concerned about learning from teammates by admittedly giving back in a greater quantity; comes to work with his “homework” done; absorbs everything; and perhaps most importantly, remembers where he/she came from. Once a driver’s experience matches maturity, all of the previous items push him or her to the next level. If ego and selfishness become mainstream, the learning and team support become non-existent. Would you consider signing a rookie to drive for your team? Also, do you think it’s a good idea for a young driver to continue his education while trying to become a professional race car driver? If you are able to stay in school, not only is it beneficial for the long-term, but if you drive yourself educationally, it teaches you how to think independently, represent yourself, and gets you into the priority of time management. At present, we are currently running Charlie Kimball, who started as a rookie. No matter the talent level, an INDYCAR team needs the patience, resource and time necessary to help a rookie get through the hard part. Even with the minuscule rookie days given, a rookie is really learning on the race weekends. Unlike the days of ample team testing, it takes both newcomers with big horsepower experience or true rookies more than one full season to really show consistent progress. You been involved in motorsports for many years and in many different divisions. What do you believe helped you adapt so quickly, and secondly, after you have adapted, how have you continued to improve, never plateau? Thank you. A: Peter, I’m still working to perfect it! Personally, I have been somewhat driven by the notion that when we return to Indy on Monday after winning a race, I really want to make sure that the previous day’s success wasn’t the last one. In order to have long term continuity in any business, you need have the time to grow, mentor and promote your talent. The real resource is the people who drive the product in an ever-changing environment – combined with the patience and support of a dedicated commercial group who have a parallel path within their industry. When the two are combined, you can adapt to change and the momentum created is special. That value is the validation. When it comes time to choose new drivers for the team, how much input do your engineers have in the process? Also, in addition to past performance, what areas to you put the most weight in on choosing drivers? Hello Ash: Racing needs to be an unselfish balance between the owner, existing drivers, managers, those with their hands on the car, the commercial group and the engineers. All benefit when it’s the right driver. On the top level, the skill set is there already, and the engineers utilize everything within their disposal to enhance it. Up close, it’s uncanny the pronounced intangible quality that drivers possess. It’s hard to describe but it’s simply the will to continue to be the best and to improve, despite already having enormous talent. In terms of the engineers, they really let the decision-makers know who has that uncanny sense, and understand it’s their unique task to move the drive style to another level. It’s almost better to have diverse drive styles, as each driver/engineer read the track and attack the problem from a different direction. They get through the test list quicker, and the share of track data really makes sense. Good engineers would rather not have clones as teammates. What do you think about FF/F1600 as a stepping stone up the racing ladder? FF is a great place to race as the power-to-weight ratio requires you to understand car control under competitive pressure. I would say that either club racing or any one of the race schools provide the opportunity. Work to find the place where the competition is the greatest and most fierce as that’s really a true measure of progress. How closely does a large team like yours follow drivers on the Mazda Road to Indy? Andrew, I would say that I watch to see who not only races but also to see how they consistently race under real pressure. In addition, when they win or lose on the last lap, the integrity represented leaves a long-term impression on many of us. As a team manager, what is your take on the “balance of performance” rule changes that seem to be prevalent in sports car racing right now? I think it’s great from a fan’s perspective, but I guess it must be frustrating for the teams. Is there a better way of making sure that different cars are competitive with each other? David, I really don’t want this to be taken out of context, but balance of performance is tough to get right by the officials, especially when there are multiple OEMs and chassis manufacturers combined with the mix of ringers and gentlemen in sports car racing. It reduces the separation between them for a given lap time. What’s continued to create separation today is the driver’s ability to keep the tires the best for the last 20 percent of the run, as that creates the track position that you see in the last segment. It’s sometimes tough to see it as a spectator but fun to watch up close. As a managing director have you ever thought about creating a Formula 1 team or, at the other extreme, a karting team? I tried many years ago to find a job in F1 but it’s a tough to crack for not only American drivers, but for vocational people from here, too. I’m sure I would have really enjoyed it. I think that given the resource and time that’s necessary to develop a F1 team on their soil, it would be a life’s commitment. I hate to jump onto the spec deal again, but for guys like me, the Formula 1 way is how we once raced in INDYCAR. I wonder if it’s too late…? I’m not certain that karting is the extreme opposite. What drives me is the priority of today. What an honor to be able to write you, Mike. I hope this is within your scope of expertise. My questions are about engine torque and horsepower. I understand that horsepower is a calculated number according to torque and rpm. But which is more important – horsepower or torque? I know that when the turbo engine in my car gets to 3,000 rpm, I’m feeling all of its torque, not the horsepower. What do you look for in horsepower and torque curves for a racing engine? And how do guys like myself using a car for street and track judge which is more important and where the shift points should be? “Mike, you get all the fun stuff!!! “Torque gives you the acceleration, horsepower the top speed. Generally for a road car, torque is more important as this translates as to how fast the car gets to the desired speed (acceleration); as most roads these days have speed limits, high horsepower numbers are somewhat academic. As to when to shift, that depends on whether you are trying go fast or save fuel! 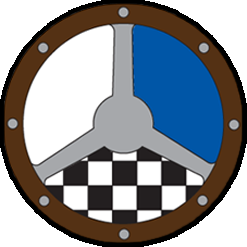 For a racing engine, horsepower tends to dominate as the car will be operating close to or at its top speed on each lap with aerodynamic drag now being the dominating factor. So, to go faster at the end of each straight, you need more horsepower. “At Indy, for example, when running flat out, it takes approximately an additional 10bhp to increase the car speed by 1mph lap average when the car is already over 220mph. A broader power curve certainly makes the car easier to drive, but ultimately may be slower than a peakier curve that produces a higher overall power number. This is why racing cars have close-ratio gearboxes that enable the driver to make the most of the available horsepower. Tight, twisty tracks would favor a broader power curve; ovals or race tracks with long straights would favor a peakier curve. How many people are employed at Chip Ganassi Racing and how are the teams structured – for example, how many levels are there and how much opportunity is there for advancement? Is there much interaction between the teams? Hello Stephen: There are approximately 185 people in North Carolina for NASCAR and a bit over 100 in Indianapolis for INDYCAR and GRAND-AM. There is a lot of interaction on all vocational levels between the NASCAR, INDYCAR and Rolex GRAND-AM teams. The growth of our internal culture and success is due to Chip’s communication style and ethic of starting each day as if it’s the first day at Chip Ganassi Racing. Our management style is shaped like a pyramid which works extremely well in a sport of constant change. What’s in common is racing that’s driven by product development as well as brand enhancement. We work to blend them together across all three divisions with a lot of interaction. Think about it like this, if I need advice, probably can’t ask Tim Cindric, but can call my counterpart in the NASCAR shop, Max Jones. Hello Mike. You won’t remember me but we both raced FF in the mid-’70s in Southern California. I was a mid-pack runner at best and felt lucky when I didn’t get lapped by you in your ADF or Dennis Firestone in his Crossle. I raced a LeGrand and helped Red LeGrand build a few cars. Question: Of all the Ganassi drivers going back 20 years, who would you rate the best for giving good feedback on car setup, and who would you rate the worst? Also, why was Memo Gidley’s time at Ganassi so short? Was it his crash at Road America or some other reason? Good luck to you and the team this year. Yes, I do remember you, Eric. Racing FFs and especially being a part of the Automotive Development group of Paul White and Jules Williams with David Bruns’ ADF design really did shove me forward. It showed me early that an open-minded, dedicated group could make a difference. Now, your question about the 20 years of drivers – from best to worst, not sure how to make that an objective answer. What’s in common with each is that no two of them had the same drive style while teammates. I would say what created the range was how well the engineer, driver and team communicated on a given day. Unless they’re on the same page, the driver and his crew look like a zero; when they are working together, with ears and eyes open, the driver can be the best set-up artist on the planet. We just went through that at St Pete, but by the Sunday warm-up, as a group, it was tracking, followed by a good return to performance at Barber. Same guys! Memo Gidley did well for us. I saw him up close as I was on his pit stand. I thought we were going to win with him at Cleveland – just needed a longer nose cone there. Great driver, just moved in another direction for the following year. What is your take on the “blocking” rules that are being used in differing series? None of us likes being overtaken, even on the Interstate highway system! The rules will continue to be abused and tweaked due to the spec nature of race cars. Unfortunately, it’s a bit of an equalizer of pure talent to average ability, and it’s apparent that the cream of the crop are the most vocal – and not normally a member of the whiner choir on other subjects – while the blockers are silent. As significantly reduced horsepower has crossed over the increased downforce levels, it’s become something in the rule book that is now a regular talking point. Dear Mike: How and why did you first commit to this sport and business? What went through your mind? Mr. Hull, I’m a racing enthusiast and always dreamed to become a racer but never had the financial stability to join any racing schools. Is there a way for “poor” people like myself to show my driving skills and how old is too old to become a racer? I’m 36 years old. Erik: Great question. I think as I said above that a great entry level place that has affordable steps is karting, and age is not the determining factor. What things are key in moving from being a self-funded amateur to having a career in racing? Find a category that is represented on an open or closed-wheel level that has the strongest competition with the most “fire-breathers.” If you beat them, you have something to promote. Matt, it’s a bit of a hot subject as the transition to the professional level includes as much learning as the best amateur racing on the planet. The short answer is that you have to win against depth. Mike, thanks for taking the time to answer questions. How much influence does a top performing team have on the rules package in any series. Ganassi Racing has successful teams in many types of racing series – Indy, United Sports Cars, NASCAR, etc. Do the rules-makers listen objectively when requests are made for adjustments to the GCRs? What happens is that the sanctioning group has access to a certain amount of car data provided to them by MIT – a direct comparison team by team. There is an on-board ECU data car in the GRAND-AM and NASCAR side, and access to a certain portion of data that is delivered by Cosworth to INDYCAR. But the sanctioning bodies are no different to the teams, as they are only as good as their specialized software and the engineering group that they have in their office. It also seems that they view information from the teams as slanted in order to gain a competitive advantage – I honestly can’t say I blame them! With the kind of spec racing now prevalent in America, getting it right on the first attempt by each sanction group has proven to be a challenge, hasn’t it? This is especially true when the better teams continue to be toward the front of the grid as the racing finds a smaller box. Hello Mike, congrats on all your success and thank you for taking the time to answer our questions while the season is already in full motion. What would you consider the ideal step-by-step process or ladder for a young kid to start and succeed in motorsports in the USA while having no sponsors – at least during the early years of his career? Well, first, without a name it’s quite hard to hatch positive self-branded promotion – just a bit of jaded sarcasm! It’s somewhat age dependent, but I’m sold on karting as it has enough levels and classes that you really have to hone your skill set to be successful. If your ability shows, there are actually engine, chassis and tire suppliers that will provide support. It will teach you the mindset necessary to get to the front. Mr. Hull, thank you for taking the time to answer questions. As an accomplished team manager, what do you feel is the most important key to success in terms of managing a race team? Well, Jack, becoming accomplished isn’t easy! I would say that you have to start each day like it’s brand new; you need to define priorities based upon the tasks that need the greatest attention and action. Listen without prejudgment to everybody around you. When those in your organization as well as those on the outside start the same way with that culture, it makes the rest of the day much easier. How many of us make the most difficult phone call in the first hour? Our business is about people, so interpersonal relationships with respect will pay you back in ways that you might never realize as this business is really a very small community. Someone needs to write a management book that centers around this industry. Within such a competitive structure, success is about getting every team member to respect the process with each other. Each Sunday validates your ethic. Hi Mike, Ever since I was young and my dad took me to Lime Rock Park I’ve always had a draw toward racing. I’m in my 20s now and finishing up college. But there’s still a part of me that loves racing. I’ve even gone as far as to modify my own car to be more like a track car. What can I do at my age if I still would like to work within the auto racing industry when I finish school? Being introduced to racing by your dad is really special! Lime Rock with its history is equal to the introduction. If you want to find employment within racing, the vocational direction of your degree is the first step with major race teams. Google their contact info, send letters for introduction followed by a trip to Indianapolis and North Carolina to meet the HR directors. The larger teams are actually the best place to inquire as the depth of their staffs creates entry level slots. I hope that you have good fortune. Mike, I am thinking about starting a racing team. Where do you suggest I go to collect financial information (for example, the costs of running a team) so a race budget can be completed? I’m looking to start in 2014 or ’15. Thanks. Hello Justin: Once you have picked a race series, create a spreadsheet with operational and/or running cost and another for capitalization. Your run cost dissects the car itself for per mileage replenishment and component replacement, consumables, engine, tires, fuel, entry related and sanction body fees. You will also need an annual number per employee, crew wage, crew travel and per diem, credentials, transporter over-the-road, and all building costs. For the capitalization side, it would include the shop and office-based equipment, the race cars, chassis, electrical, and drivetrain parts, tools, support equipment, pit lane equipment, radio’s, PC hardware/software, crew and driver uniforms, and wheel inventory. Make sure as with any business that you leave something in the capital fund to get you through the off-season. I haven’t really given your question a thorough enough answer with a spreadsheet attachment but would recommend that you pick your starting category, go to a few events with your camera, take pictures of everything that comes out of the transporter, is under the tent, the cars themselves, the pit lane, the number of crew members and anything else you can think of. With those photos you should then be able to zero-in on some answers. Try to talk to the best in the chosen category and you will find that there are plenty of people willing to get you moving in the right direction. Thanks and hope to be able to see your team in action. What is your take on the team order controversy that erupted after the Formula 1 race in Malaysia, where Sebastian Vettel ignored his Red Bull team’s instructions to stay behind Mark Webber in the closing stages and, conversely, Nico Rosberg obeyed the Mercedes call to follow Lewis Hamilton? F1 is very different to most North American team sports, including INDYCAR or sports car racing, due to its inner team feudal nature. They appear to have clear number one drivers. However, Vettel potentially could have corrected his radio instruction by allowing Weber to repass. He will need support to continue to win. I wouldn’t want to be behind door number one if Tony Stewart was his teammate! In INDYCAR racing with two drivers as teammates, the focus is very different. They unselfishly share, as the team’s philosophy is when it’s all on the table, the farther up the grid and finishing order you climb. In any team sport, that’s how you create the necessary momentum. It transcends through the entire organization when drivers display integrity. I understand you were a pretty good driver in your younger years. When and why did you make up your mind to pursue other ways of making a career from the sport? Yes, I held my own while driving; I grew up in SoCal when every form of motorsports was there. I didn’t come from real means, so raced on merit for quite awhile and found some help while working for a race business that included prep on customer cars. I was offered what seemed like a lot of money at the time to look after someone’s car and he proceeded to win in bundles. Being a driver helped right away to help him to get the most from his car, and I really never looked back. As race teams moved from California, so did I as Indy Car racing became the “target” for me. I should mention that Frank Arciero saw something in me and gave me an opportunity to work on his Indy Car. I will always be grateful for his kindness and passion. That really moved me forward.